Just like last week, Mango Airlines South Africa is by far the cheapest - they could have charged R100 more and they would have still been the cheapest. We examined flights from Durban to Cape Town leaving on the 27th July 2007 between 1349 and 2045, and Mango Airlines offered the cheapest flight at R477. 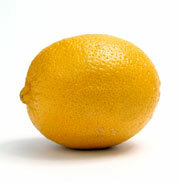 The Mango flight was flight number JE387 leaving Durban at 2145 and arriving in Cape Town at 2355. We are currently experiencing technical issues with our Internet Booking Engine and are unable to process your booking request at this time. We apologize for any inconvenience caused. Please visit again shortly. 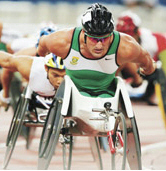 Top South African wheelchair athlete, Ernst van Dyk, has not been sleeping or eating properly since South African Airways lost his custom-built racing wheelchair. In the meantime in Sydney, the Boks found their luggage had also been ripped open and goods stolen somewhere along the way. The most fatalaties aboard a British Airways flight occurred in 1976, when a British Airways Trident 3B collided with a DC-9 above Yugoslavia. See a full list of British Airways fatal accidents and other trivia at British Airways flights. Zimbabwe is contributing to the fact that Africa is SAA's only profitable region (R500 million profit in 2006). Zimbabwe sent a 15-strong advance party to the African Union summit, on a flight from Johannesburg to Accra, flying A class of course! The most snow in Johannesburg in decades resulted in delayed flights at Johannesburg Airport and Cape Town Airport. I've never enjoyed the luxury of a flat-bed on a plane, but it doesn't hurt to plan ahead! Apparently not all flat-beds are created equal, so it's important to be able to look through the marketing smoke and mirrors of the airliners - and the way to do this is to learn the vocabulary. The “flat-bed seat” extends to a fully horizontal position when fully reclined. The “lie-flat seat” may be marketed as having 180 degrees of recline, but does not actually lie flat - some go back as far as 172 degrees. The “recliner” seat back goes as far as 160 degrees from the seat base. SeatGuru.com lists Air Canada, Air New Zealand, British Airways, Singapore Airlines South African Airways, and Virgin Atlantic as airlines offering flat-bed seats in first and business class on some but not all of their international flights. This comment by Menon on our Durban to Bloemfontein flights website: "SAA is ripping us off. R2000 return from Durban to Bloemfontein for a 45min flight is ridiculous". Editor's note - we'll have to wait for an SAA Mango airlines flight to be introduced on the route. Flights from Johannesburg to London are very popular, and we conducted our second survey of flight prices on the route.